What Do Your Vital Signs Mean? 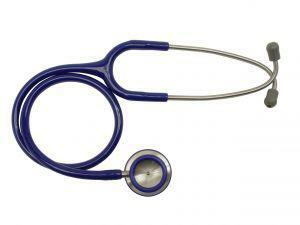 Medical professionals use your vital signs, or “vitals,” to gauge the state of your health. They are a quick snapshot in time of what your body is doing and how healthy you are. Normal vital sign ranges are different due to health status, age, gender, and weight. Often, a change in vitals is the first sign of a disease process or a stressor that needs to be addressed. Following are the vital signs, what they measure, and which readings are considered normal. The measurement of the force exerted against your arteries is your blood pressure. You’ll hear and see it as two numbers, such as 130/70 mm Hg. The first number, the systolic pressure, measures the force of blood in the arteries when the heart beats, while the second number, the diastolic pressure, measures the force between heartbeats. For an adult, “normal” blood pressure is 120/80 or less. If your systolic reading is higher than 120 but lower than 140, or your diastolic pressure is between 80 and 90, you have what is called prehypertension. Your doctor will likely keep an eye on it and ask you to take your blood pressure at home for a few weeks to see if it varies. True hypertension (high blood pressure) is anything higher than 140/90 mm Hg. Hypertension that lasts for an extended period can cause stroke or heart problems. In addition, the act of going to the doctor’s office can temporarily raise the blood pressure, a condition called “white coat hypertension.” If you take your own blood pressure, consider these factors, and let your doctor know. Your heart’s number of beats per minute is your pulse rate, and like the other vital signs, it can vary. Most adults have a pulse rate from 60 to 100 beats per minute, though some heart medications can slow the pulse. Take your pulse by placing your fingertips along your carotid artery, below your ear on your neck, or the radial artery on the inside of your wrist behind your thumb. Press moderately, and you should feel the pulse. If you cannot, you may be pressing too hard or not hard enough. Count the beats for a full minute, or count for 30 seconds and multiply by two. The beats should be evenly spaced with none skipped. A fast pulse indicates medical problems such as thyroid issues, anemia, infection, and stress. Slow pulse may indicate heart problems. The respiratory rate is the number of breaths per minute, and normal is considered 12 to 20 breaths. Count the respirations for 30 seconds and multiply by two, or if the breaths are irregular, count for a full minute. Respiration rates may be abnormal for those with lung conditions or heart disease. Normal body temperature for an adult can range from 97 to 99 degrees Fahrenheit. Everyone is different, and everyone has a different “normal” temp. As we age, our bodies cannot regulate temperature as well as they did when we were younger, so keeping an eye on your temperature becomes more important. Other factors, such as thyroid disease, being out in bad weather, dehydration, and stress can cause fluctuations in temperature. For more information on vital signs, visit the Cleveland Clinic’s vital signs page at http://my.clevelandclinic.org/healthy_living/prevention/hic_vital_signs.aspx. © Carolinas Natural Health. All Rights Reserved.